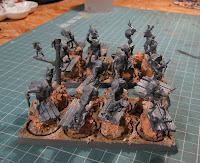 My winter holidays are almost over so now that I'm at home I've made some progress on the Hobbit goblins. 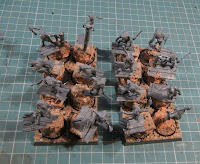 I've prepared bases for half of the ugly ones from the box. 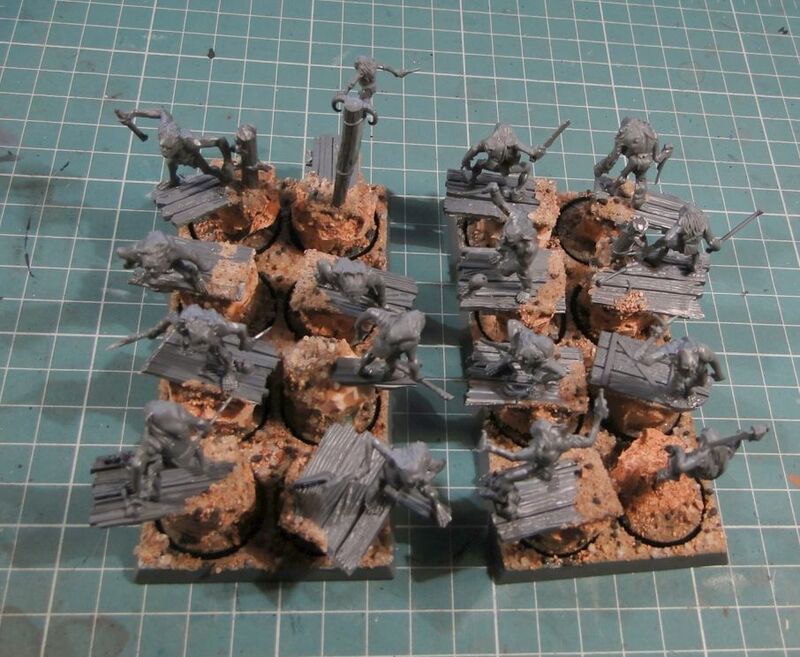 The other half will be based on lower terrain so that there will basically be two different height rows of goblins on each tray. I've also finished the display base for Goblin King. 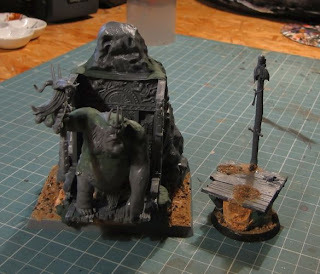 I used the throne from the box and placed it on a cavalry tray. Then I went over the recesses with plenty of GS and he's ready for priming. Looking fantastic mate (and trust your holidays were excellent)!